DCU boxing were represented by four boxers at the Celtic Cup tournament last weekend in the Dungarven Sports Centre. The club will hope to repeat the success of 2016-17 when they had the most entries and winners in the intervarsity world boxing tournament. 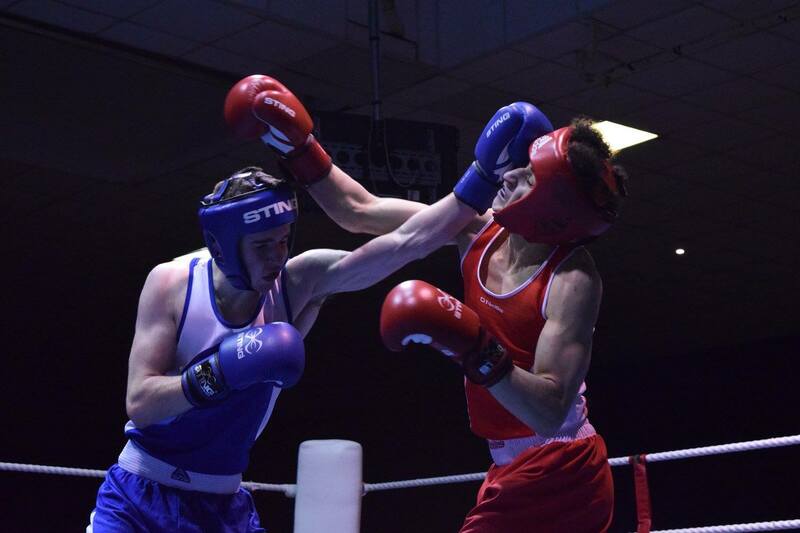 “John Marshall was an All-Ireland champion last year and he will be competing with others this weekend,” said DCU boxing chairperson Sadhbh Candon. The DCU chair also praised the coaches involved in the club who gave their time over the summer to prepare the boxers for the competition. The club is the top Third-level boxing club in Ireland and has won the DCU Best Club award three times. However, the club caters for fighters of all abilities and even those who have never boxed before, as Candon pointed out. “Whatever level you are at our coaches look to develop you… They know your limits and won’t push you past your absolute extremes,” she commented. The society has made strides in terms of facilities as they now have a permanent ring which they hope will allow more time for training rather than setting up. “We really would like to thank the Sports Development Office in DCU as well as the CLC (Club Life Committee) for all their help and the squash club for providing a space for our ring,” said Candon. One of the tournaments the club is looking forward to are the All-Irelands which take place on the southside and the boxing chair welcomed all to come and support. The society is also involved in community work in which they bring in local children and TY students and show them the sporting facilities in DCU. “We really want to give them an ethos that sport and education can go hand in hand,” said Candon. The club has hit the 300 mark in memberships, resulting in the introduction of training in the St Patrick’s Campus this year.